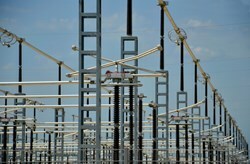 The four-hectare ''Prionnet'' switchyard will provide power to the ITER installations. It is now connected to the double 400 kV power line. The ITER switchyard is now "live": the power has been on since Wednesday 27 June. 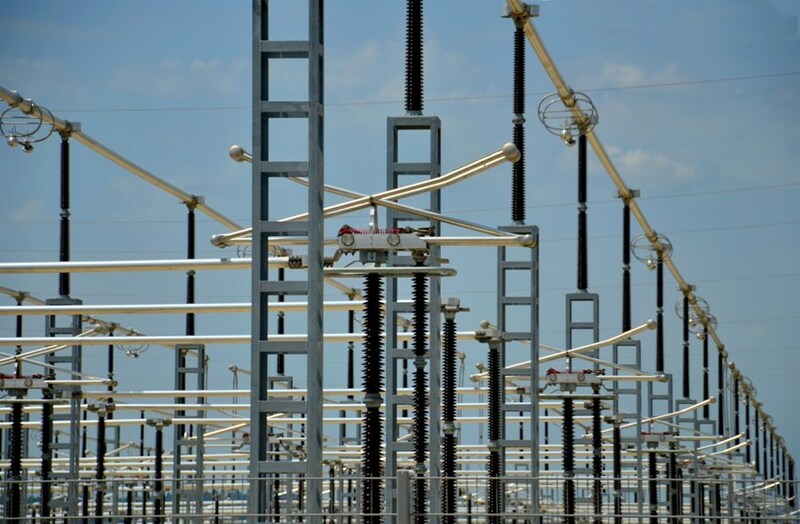 One year after work began on the four-hectare switchyard, the installation was connected to the 400kV "Boutre-Tavel" power lines that supply electrical current to a vast area of south-eastern France. For the moment, ITER doesn't need the power that the double 400 kV lines can now provide. However, it was necessary to power the installation on in order to enable the French power transportation authority RTE (Réseau de Transport d'Électricité) to "close the loop" in the distribution network. Installing and financing the ITER switchyard and power-line extension was part of France's commitment to ITER. After three years of technical studies and consultation the works were completed on time (8 months for the extension, 12 for the switchyard) and within budget (EUR 22 million). Read the joint Agence Iter France/RTE press release in French.